Going to the movies can be expensive with the whole family in tow. 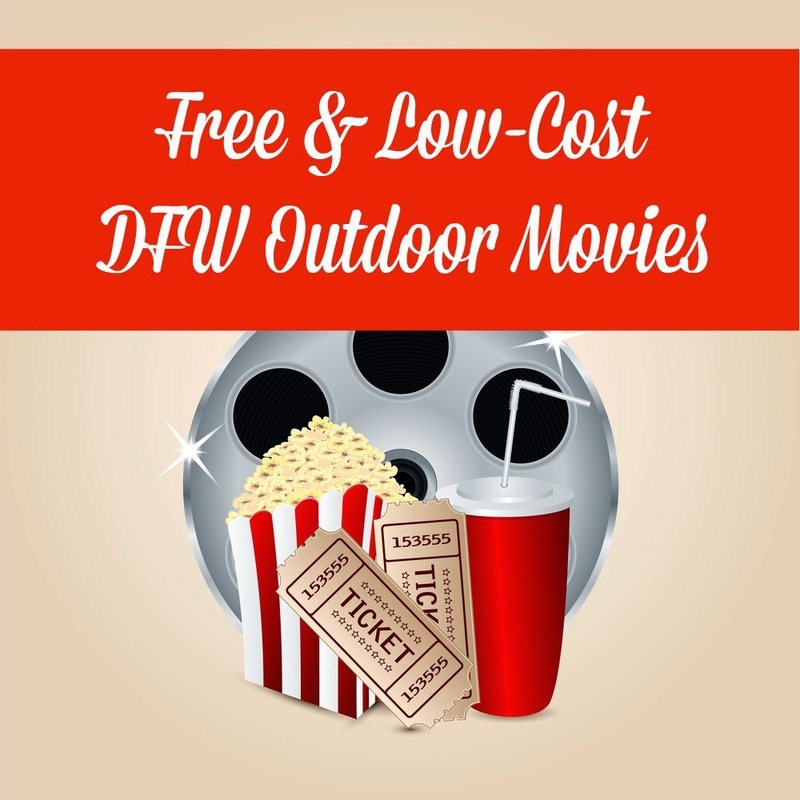 So take advantage of these outdoor movie opportunities this summer across DFW – from Addison, Arlington, Fort Worth and Dallas, there are some great movies for the kids (and even date night option for some really recent films! 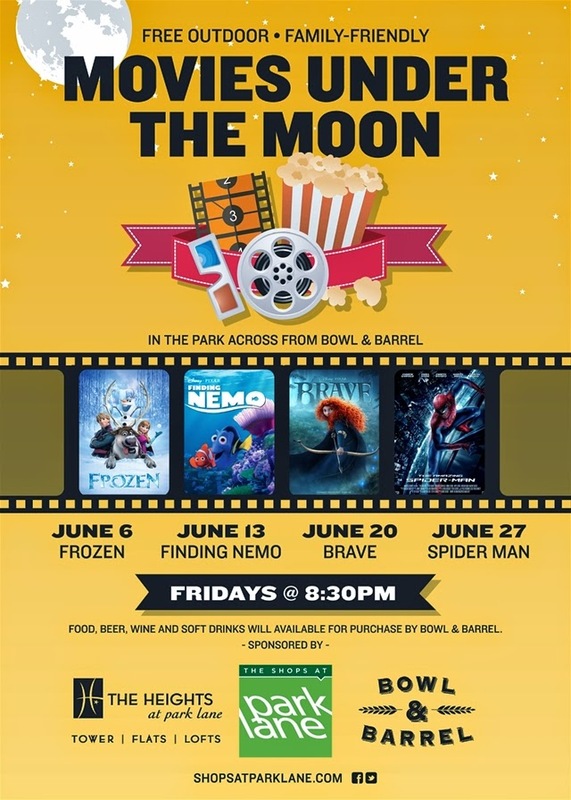 Movies Under the Moon is a fun, family-friendly event to see movies under the big sky at the big shopping center across from Northpark. Refreshments will be available for purchase, but don’t forget a blanket! Opening up its campus to the community, UTA invites everyone to enjoy movies outdoors with complimentary popcorn Thursdays this summer. While some of the shows are family-friendly, it may be a perfect opportunity to spend the money on the sitter and save on the movie and refreshments. Specifics about location can be found on the website. 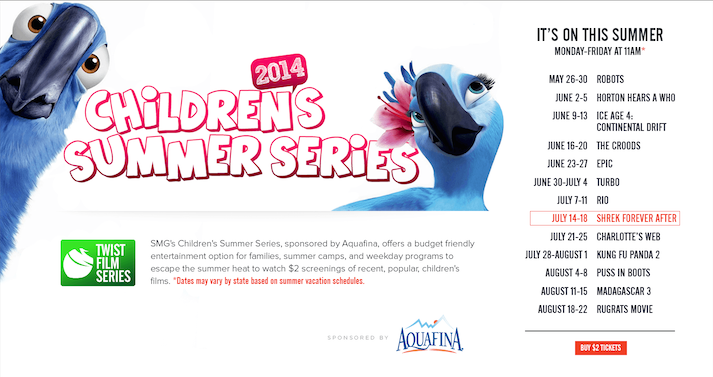 The Children’s Summer Series at Studio Movie Grill, sponsored by Aquafina, offers a budget friendly entertainment option for families, summer camps, and weekday programs to escape the summer heat to watch $2 screenings of recent, popular, children’s films. With a new film every week Monday – Friday at 11 am there is plenty of family fun to be had! 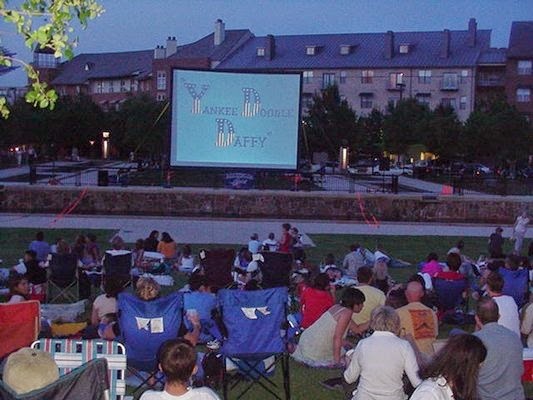 Pack a picnic, grab some friends, and watch a movie on the lawn of the Amon Carter Museum on Thursdays in June & July. Lawn opens at 6 p.m. Lawn chairs, blankets, and coolers are welcome (lawn only). No glass bottles, alcohol, or pets please.No reservations are required.